Heavy Duty Sliding Shelf, 1U 19'', 4 point fixing, Physical Shelf Depth:720mm for D=1000mm cabinets. Load Capacity 50 kg. 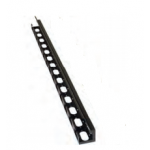 Heavy Duty Sliding Shelves, 4 point fixing, Compatible with all brand cabinets. Multivendor. For allowing the convection of heated air inside cabin..
DYNAmax series Servering Enclosures, provide a proper environment for the server and storage equipments with professional ventilation structure as w..
Cable Manager 26U Metal Vertical Left/Right- Black RAL 9005..
PROline series Networking Enclosures/ Cabinets, designed for superior performance tested with 3 times higher load than nominal weight load capacity,.. 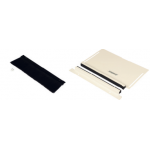 Sliding Shelves, 2 point fixing, Compatible with all brand cabinets Multivendor. Adjustable brackets at depth. For allowing the convection of heate.. DYNAmic series Networking / Servering Enclosures, provide maximum optimization resulted to an optimum performance in between qualit..
Cable Entry Module Rubber Edged Sliding Mechanism and BrushSpecificationsHeight : 350mm Width : 400mm Depth : 20mm..
EUROBOX series Networking Enclosures/Cabinets, provide maximum optimization resulted to an optimum performance in between quality and added value. W.. DYNAmic series Networking Enclosures, provide maximum optimization resulted to an optimum performance in between quality and added value. While prod..